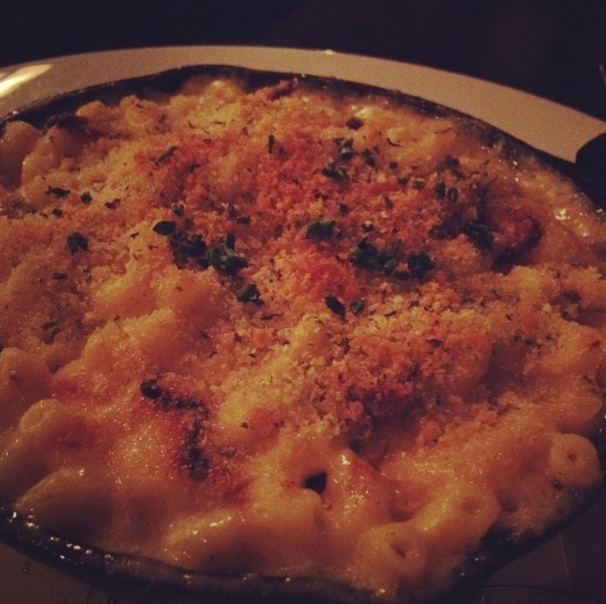 While mac and cheese isn't their specialty, 1515 is still pretty noteworthy in my book. They're currently ranked in my top ten best Bay Area mac and cheese spots. So what makes 1515 special? A combination of truffle oil, bacon/chicken add-on options, good breadcrumb/crispy cheese topping, all served in a HOT cast iron skillet. I definitely haven't had a mac and cheese that's served hotter than what you get at 1515. Why is this a good thing? The heat certainly brings out the flavors in the three cheese blend, add-ons, and truffle oil. Plus, who wants to eat luke warm mac and cheese? Not me. 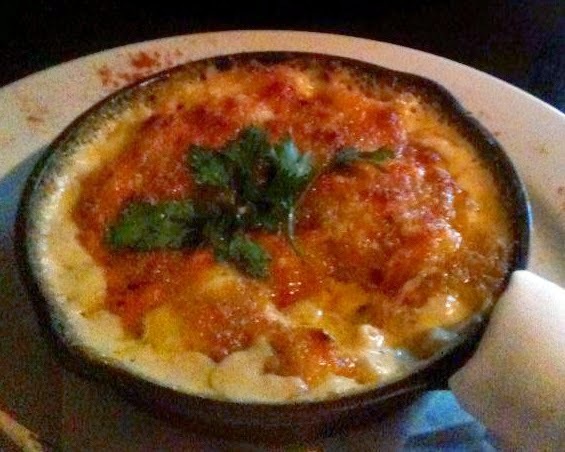 The mac is made up of three of my favorite cheeses: smoked cheddar, gruyere (yes! ), and mozzarella. I find the mozzarella to be particularly interesting since I actually haven't seen it used in many mac and cheese dishes before. Perhaps it's because melted mozzarella tends to a stringy texture (think the cheese on top of a pizza), but blended with the gruyere and smoked cheddar, it doesn't seem to be too noticeable in 1515's version of the dish. The restaurant itself ranges from super packed on weekend evenings to open and quiet during the week, as is typical with a lot of downtown Walnut Creek restaurants. If the weather's nice, the outdoor patio is always great for people watching and soaking up the warm breeze. My only criticism of 1515's mac and cheese recipe would be the consistency. I've had their mac and cheese several times and notice that everything from the cheese blend to the topping seems to change whenever I visit. While it's always delicious, I'd be disappointed if I was looking forward to the crispy cheese topping and instead got more breadcrumbs (or vice versa). As you can see in my photos from a couple past trips, I had that very experience. One version of the recipe had a crispy cheese topping with a decorative leaf, and the next time I visited it was all breadcrumbs. That said, don't let that one criticism keep you away from trying 1515's version of this comfort food classic. Overall, it's pretty great and definitely one of my go-to's when I'm in the area and need a pasta fix.